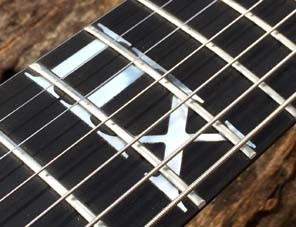 Larger shapes like a V, Explorer, Star, will recieve additional charges due to the much larger body size and timber selection is limited compared to smaller sized shapes like Superstrat, Tele, LP and Standard. We use our inhouse brand www.facebook.com/gregorypickups and we can recommend a model to you according to your playing style. (unless a scratchplate is used) if you would like a single coil in the neck we will coil split a humbucker, which is our default wiring anyway. 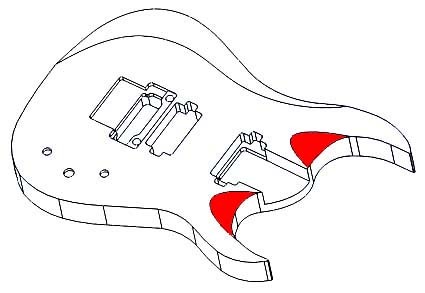 It is part of our neck heel design and we require the space underneath the humbucker for the neck to slide into, a single coil does not offer enough space. 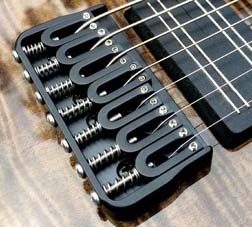 We cannot offer a bridge only pickup guitar for the same reason. Pickup selection is a personal choice and there isn't one answer for everyone. If you are unsure about how to choose, simply message. If you wish to use a brand other than our supplied pickups, you can send in your chosen make/model and we will happily instal as long as it fits our routes. Rotosound Yellow is most often the default string on all my builds, 10-46 (10-56 if seven string) and setup for E standard. 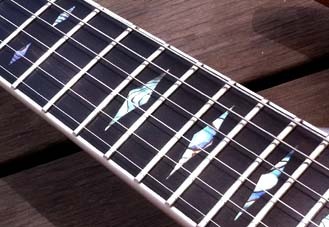 If you have a different string or tuning preference, feel free to post them in prior to assembly and advise the tuning. The Nemesis is our take on a modern superstrat. Sleek top and rear carve, comfortable against your body and under your arm, plus it's not too shabby in the looks department either. The body thickness is 40mm through the entire center and shaped in an Elliptical Cylinder, curving out at a consistant radius to ~10mm at the tip of the body. 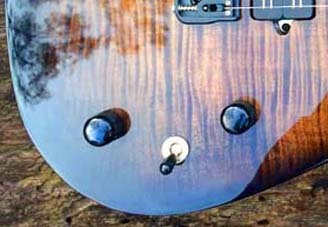 The is no rear belly carve as the rear of the guitar is also radiused. 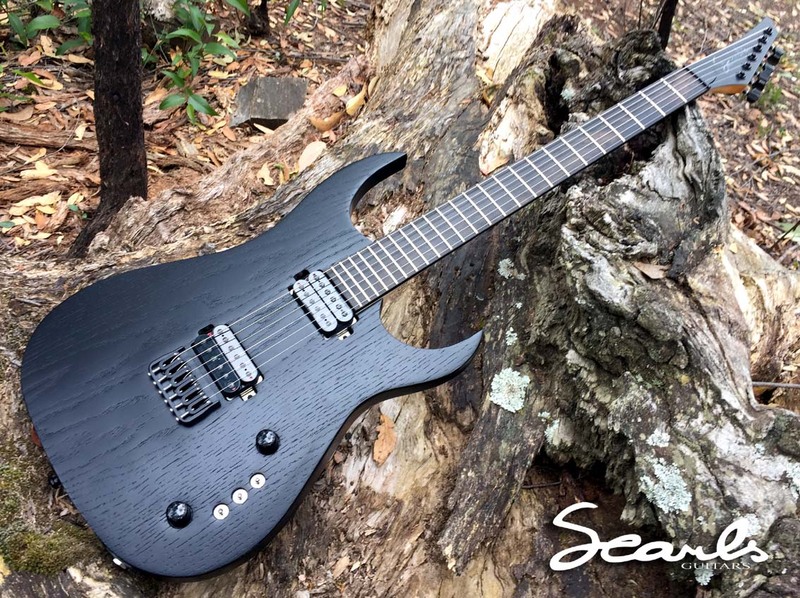 Due to there being so much removal of timber on the Nemeses carve, this is a lightweight guitar and popular with gigging guitarists due to the reduced weight. 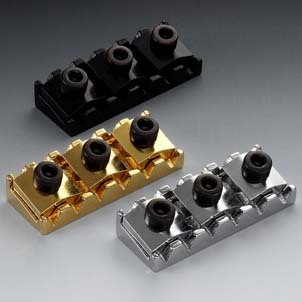 Due to the extreme carve, certain electronics options may not be available that are in the Flat Top model, for example, the switchcraft selector is replaced by mini switches and the pull/push coil split is also replaced by a mini switch. The body is too thin in the electronics cavity area for these larger switches/pots. 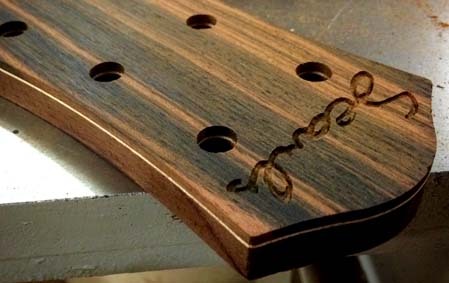 Due to the extreme amount of timber removal, it also means we can also offer timbers that are usually too heavy to use on a normal carved guitar. 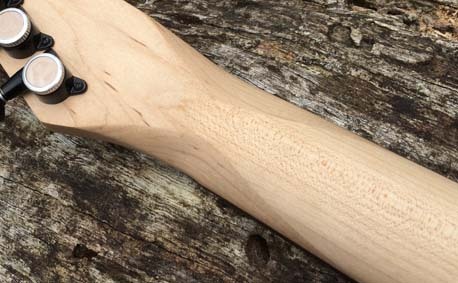 The flat top model is a 40mm (+-) thick body and most often has a carved arm contour. The Flat Top model also features a comfort carve on the rear. Scallops on the top of the cutaways are also an option. SS6/SS7 only - not applicable to Nemesis. We will often have an assortment of exotic tops in stock, or we may be able to order in something special for you. Tops/caps are an upgrade and not included in the base price. 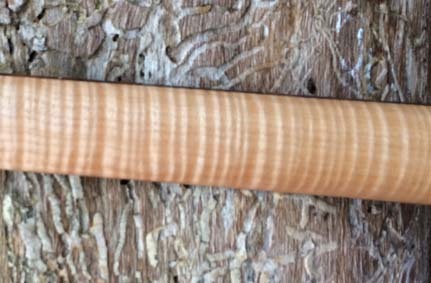 A Nemesis is a lot more expensive to "cap" than a Flat Top due to thickness of timber required as with larger shapes like a star or V.
Quartersawn Hardrock Maple is the default neck wood chosen for its stability and availablility. 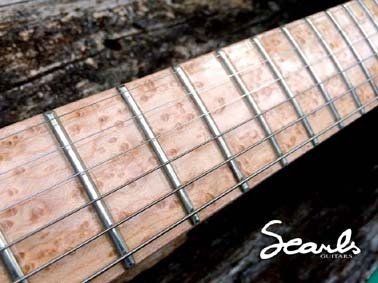 We will sometimes have other neck materials in stock, like wenge or mahogany that may not attract a surcharge. 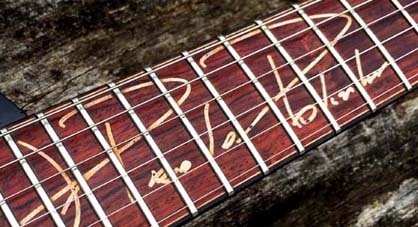 Other neck options can be chosen at an additional cost like flamed maple for example and are subject to availability. 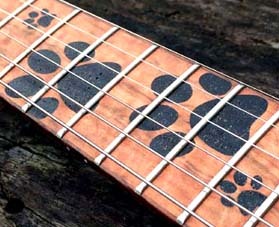 I tend to average the neck (including board) thickness at the first fret around 19mm and around 21mm up the other end. The nut width is normally 43mm. For those who prefer a meatier neck you can request a Retro carve, which is around 20mm at the first fret, I wouldn't call it "chunky", it will be meatier than the standard thin neck profile. This comes at additional cost to help cover the time involved and the additional material cost. 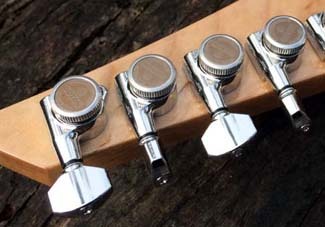 Headstock caps are also subject to availability. Ebony and Rosewood are default "bread and butter" choices as they always make a great guitar, however I often have other timbers in stock. Not all timber suit all builds, so fingerboard selection will depend heavily on body and cap choice. 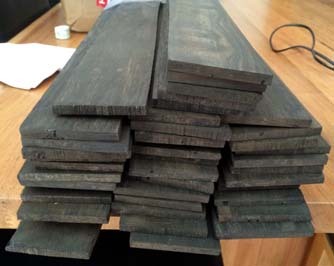 Items like Snakewood and Pale Moon Ebony are available, however they are very expensive an can sometimes cost several hundreds of dollars to order in due to additional freight and availability. Birdseye Maple is a fingerboard timber that requires an additional cost as it involves a few different time consumingsteps during the build process as well as requires spraying during paint stage for protection. All our fingerboards are bound, usually with timber and this is included the base price unless a specialized timber is requested. 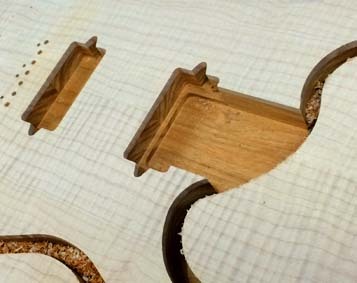 Timber selection for binding will depend on fingerboard selection. Standard side dots are default on all our builds, however if you would like glow in the dark side dots you can upgrade to Luminlay for an additional charge. It may sound gimmicky at first, but can be handy for those who reguarly find themselves gigging on dark stages. This photo was snapped in our CNC room with the lights off, they are quite effective! 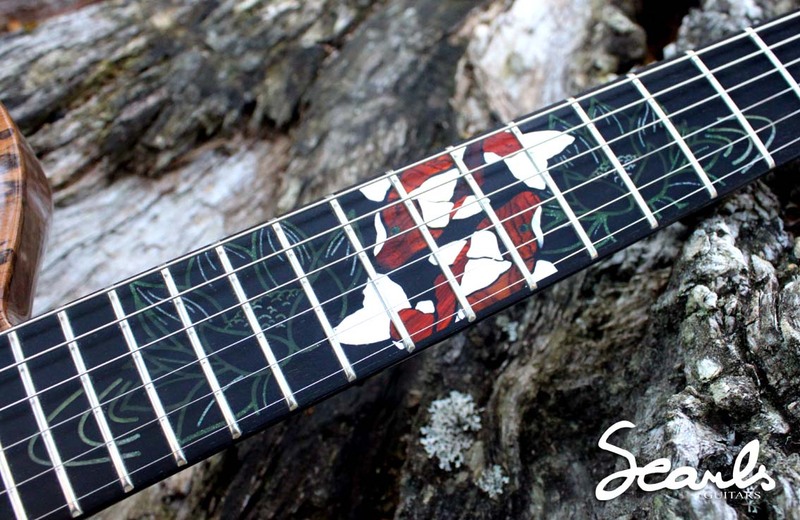 A naked (plain with no inlay) board is default, however basic fret markers like offset dots or diamond silhouettes for a cheaper inlay option, or even our pearl diamonds for a bit extra again. 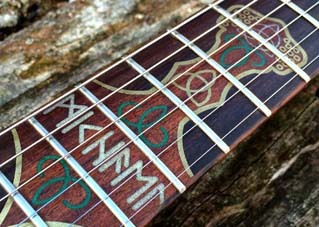 Custom inlay is a tricky one to quote as it requires so much design time and then later so much time doing detailed cutting etc. 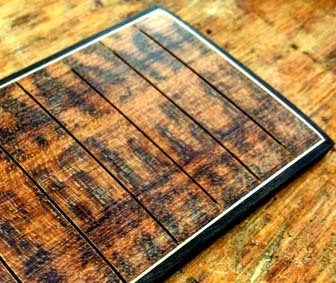 Once time and materials are calculated you can easily blow out five hundred dollars or more on a custom inlay, so when making an inlay enquiry have a budget in mind and let us know. 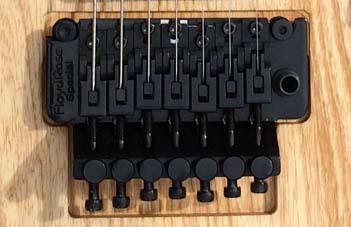 Gotoh Floyd is our Tremolo option for 6 string, they do not make a 7 string bridge so Floyd Special is our default 7 string tremolo. Due to the time involved in programming the CNC for bridge changes, unless you are prepared to pay a substantial amount to cover the labour, test routing and prototyping of a different model bridge, it is much cheaper for you to select one of our default models. 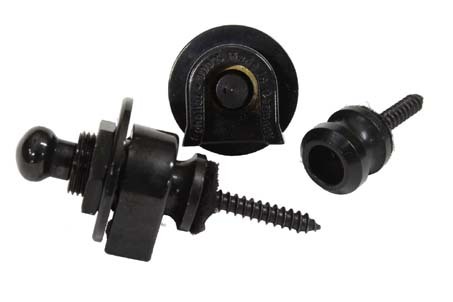 On a Tremolo guitar we usually we use genuine Schaller however if they are unavailable we will replace with something else of similar quality. I have been installing Schaller Strap Lock system on all my personal guitars since I discovered them in the 1990's so I feel it's only fair to install them on all the guitar I build as well. This is included in the base price. 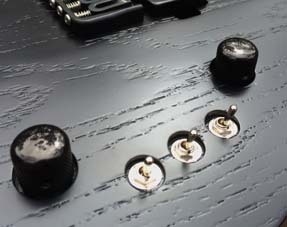 One of our most often requested upgrades is for locking tuners. 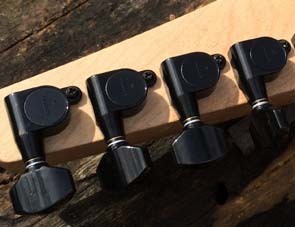 We fit Gotoh tuners as standard to all our guitars however if you would like to upgrade to Gotoh Locking tuners you can do so at an additional cost. 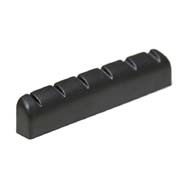 We generally use CTS or Bournes pots and Switchcraft 3 way toggle and switchcraft output jacks on all our flat top guitars, with the tone pot wired as a pull push coil split for the neck pickup. 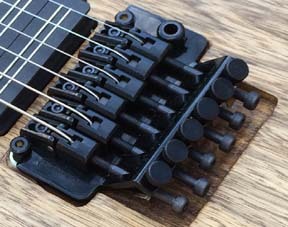 On Nemesis carve guitars, the toggle and pull/push is replaced by three mini switches, two wired as a kill switch and the third wired as a coil split for the neck pickup. We offer Orange drop capacitors as standard however you can upgrade to a PIO (Paper Dipped In Oil) capacitors for a small upcharge. It's simply apersonal preference, the difference being two different types of manufacture. More info and pictures will be added when I find the time, however I hope this pagehas made the process easier for you.